SummitCove Vacation Lodging released an end of season discount offer for skiers and snowboarders visiting Keystone Resort or Summit County in March or April. SummitCove Vacation Lodging, located in Keystone Resort, Colorado has released a new spring discount for skiers and snowboarders that are visiting Summit County for the close of the 2011/2012 season. Prices have been lowered for the rest of March, and visitors will receive a savings of at least 20% for those dates. Guests of SummitCove staying in April will receive 30% discounts on most vacation properties. Spring at Keystone Resort will mean plenty of sunshine and on-mountain activities to keep families and couples busy. The March Concert Series will run on Saturday, March 24th as well as Saturday, March 31st. River Run Rocks! Free Concert Series will also include a performance by Sam Bush on Saturday, April 7th. Guests of Keystone can also look forward to the Slush Cup Pond Skim Contest, and the Volcom Peanut Butter and Rail Jam, an amateur snowboard contest. As ski season closes for the year in Keystone, nearby resorts will remain open, and activities are scheduled through May. The May Concert Series is slated for Saturdays throughout the month of May. The Festival of Brewpubs will take place on Saturday, May 27th in Summit County. Keystone Resort will be open until Sunday, April 8th, and nearby Arapahoe Basin ski area is tentatively scheduled to remain open through early June. 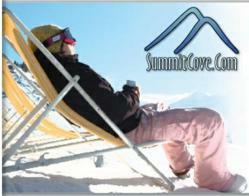 SummitCove manages approximately 300 vacation rental properties located exclusively in the Keystone Resort area. Ranging from studio condos to large private homes, there is availability in every budget range and for every group. SummitCove is also a proud provider of lodging for larger groups, including weddings and family reunions.